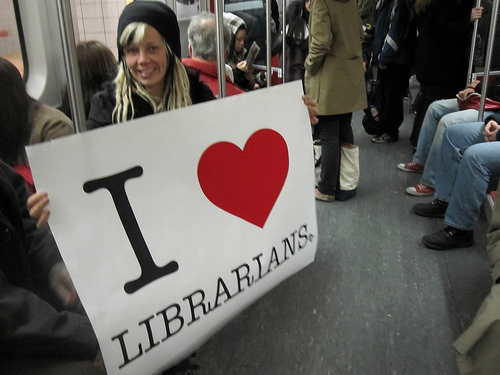 Librarians: It’s time to stand up for ourselves! I recently attended a library association meeting where I heard a familiar concern among my colleagues: “Our products and services are used widely by many within our institution, yet nobody knows that we(librarians) developed them.” Similarly, there seemed to be a lot of uncertainty amongst the group about how to transform our roles and provide services that will benefit our patron base. The remainder of the discussion involved the doom and gloom of libraries… I personally found this discussion incredibly frustrating because I have heard it time and time again. Librarians seem to love sitting around and talking about how we are suffering and losing patrons left, right and center; how does this help us improve? I know librarians are capable of doing amazing things with information and developing services that can benefit users, we just need to actively go out and do it. For this post I want to address a few things that I think librarians need to do on a regular basis to remain relevant and stand up for themselves. Liaison and subject librarians already have a head start on this one, but I think developing and fostering relationships among our patron groups is essential. With the emergence of embedded librarianship, I believe that librarians need to take a more hands on approach to their work. In order to find out what will benefit a patron base, we need to go out and ask them directly. In an academic library, librarians need to ask faculty and students how they can better serve their needs. This approach accomplishes two things: first, it gives us an opportunity to explain and demonstrate our skills and expertise, and second it allows us to hear firsthand how our patrons function and evaluate how we can help them. I think that fostering relationships is the first step towards changing the ways librarians do their work. The stronger the relationships, the better the opportunity to create information resources and services that will benefit our patrons. Furthermore, when it comes time for annual review, we will be able to provide actual evidence that can prove that our work has been beneficial. The NIH Library’s Informationists are really pushing the envelope in terms of services they provide to patrons. Being completely embedded within clinical teams, these librarians have specialized knowledge and clinical expertise that allows for them to be a contributing member of a clinical research team. These librarians take multiple continuing education (CE) courses in information technology and biomedical sciences in order to keep up with their patrons. 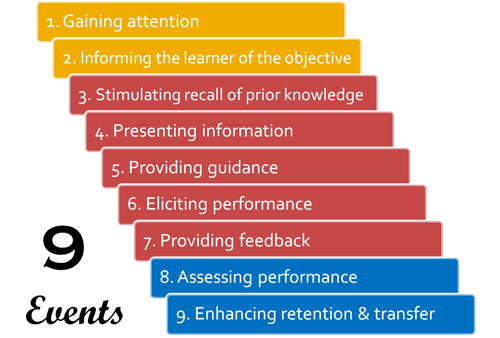 I think librarians in general should follow this model in the sense that taking CE courses should be a regular part of our jobs. As a medical librarian I believe it is important to learn how my patrons work within their research environment. Moreover, I believe learning about new technology and information practices will help me discover new ways to help users. Purdue’s Digital Curation Profiles (DCP) provide an opportunity for academic librarians to enter a new role by helping academic researchers manage and understand their data. A DCP is designed to be “essentially an outline of the “story” of a data set or collection, describing its origin and lifecycle within a research project.” These DCPs allow librarians to meet with and understand how their patrons perform their research and manage their data. From this evaluation, librarians can assist with researchers’ data management methodology so that it can be preserved or uploaded into an information repository. Moreover, this exercise gives the librarian an opportunity to learn about how their users actually perform their research. The DCPs and data management in general are areas where I believe librarians should get more involved as it 1) fosters a relationship with a specific patron base, 2) provides a new role for librarians, and 3) allows librarians to provide tangible evidence in the form of DCPs as to the services they provide. UMass has received a grant from the National Library of Medicine to create a journal where eScience is the topic of discussion. The journal is designed to “advance the theory and practice of librarianship with a special focus on services related to data-driven research in the physical, biological, and medical sciences. The journal explores the many roles of librarians in supporting eScience and welcomes articles related to education, outreach, collaborations, and current practices, by contributors from all areas of the globe.” I think this is an excellent initiative as it fosters collaboration amongst librarians and provides a new way to educate librarians about a new topic. The collaborative nature of librarians is something I have discussed before, but we need to support the interpersonal nature of the field as we move into new areas. The Journal of eScience Librarianship is just one, but excellent example of this. This one is a no brainer – librarians need to perform more evaluations and assessments of their services. If you’re an instructional librarian, it is vital that you survey your audience so that we can prove the students are learning something. These evaluative measures also provides insight into how we can improve our services. Similarly if you’re a subject librarian, allow your patrons to evaluate you and the services you provide: How can your services be improved? What do these patrons expect from their librarian? If they don’t know – explain to them how you can better serve their needs! One initiative I am impressed with is the ACRL’s “Assessment in Action: Academic Libraries and Student Success.” This study sets out to build a professional development program to strengthen the competencies of librarians in campus leadership and data-informed advocacy. Individual libraries can follow this model to ensure that if they ever come under scrutiny (and surely they will), they can prove how their efforts have been successful within their institution. The basic point I am trying to get across is that librarians experienced and inexperienced cannot sit idly and hope that they will remain relevant within their institution. As information specialists we need to keep up with emerging technologies in order to provide services that our patrons need. After all, isn’t learning new things one of the main reasons we all love this profession? We also need to get out of our comfort zones and head into the environments where our patrons spend their time. How are our patrons going to know how we can help them if we don’t tell them?! It may seem daunting to some, but we need to prove to our institutions that we are essential and that the expertise we possess can improve the work our patrons do. The relationships we build will help us prove our worth, as well as make our jobs more dynamic and interesting. Finally, evaluating our services is incredibly important. How so many librarians have gotten by without doing this until now is baffling to me. Just like any thing we do, it is important that we know if you we’re doing it well and if it has value. With every instructional session we give, every research guide we create, and every hands on information service we provide, we need to know that it is effective and meeting the needs of our users. Using these measures can help us improve as librarians and give us an opportunity to stand up for ourselves.. Maybe then we won’t have to attend any more library meetings where the topic of discussion is the doom and gloom of the librarians. As a librarian, how do you stand up for yourself within your institution?